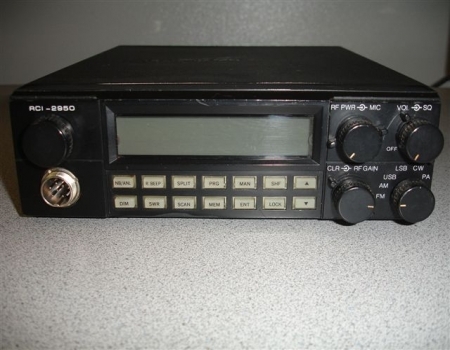 The Ranger 2950 is an AM, SSB, CW and FM transceiver that is designed to operate in the 10 meter amateur band. It makes a great mobile radio and will easily operate on 12 to 13.8 volts DC with an output power of 25 watts.. 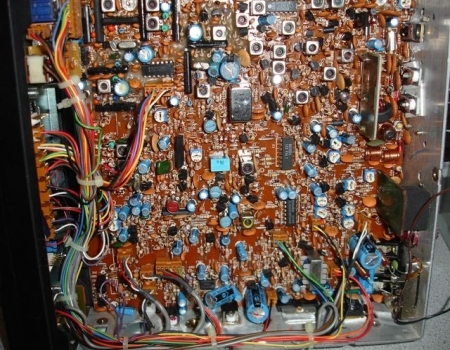 Some of the features of the 2950 are as follows, Noise Blanker, Automatic Noise Limiter, Roger Beep, Split operation, 10 memory channels, Microphone gain, Squelch, PA, RF power control. The frequency can be selected from either the front panel or microphone push buttons. 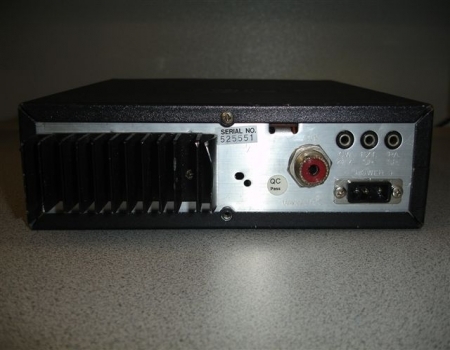 The big brother of this transceiver is the Ranger 2970. 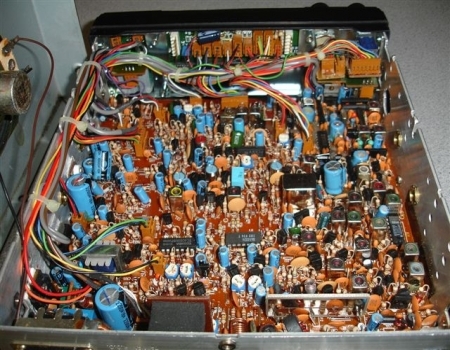 These next two photographs show the inside of the radio with the bottom cover removed. Looking at it from the circuit board angle, this 2950 is very hard to tell apart from it's counterpart the Ranger 2970.